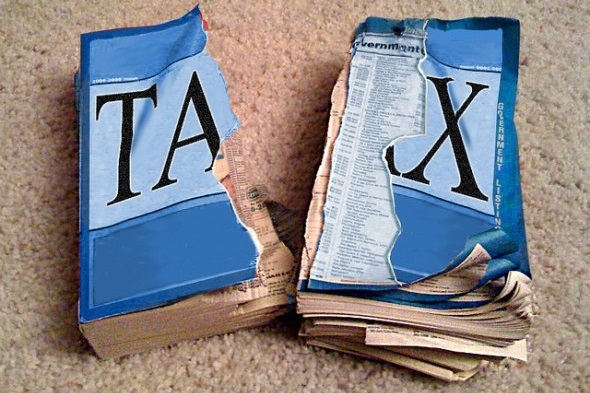 The federal estate tax exemption is now permanently indexed for inflation. For 2014, the exemption limit is capped at $5.34 million and the highest federal tax rate an estate would have to pay is 40%. Unless you're sitting on a huge pile of cash you likely won't have to worry about federal estate taxes but you may still have to pay at the state level, depending on where you live. Currently, 15 states and the District of Columbia assess estate taxes and a handful of others also levy a separate inheritance tax. Generally, the tax rates at the state level tend to be lower but you're not able to exempt as much as you can under the federal guidelines. If you're worried about how much your heirs will have to cough up after you die, here's a look at which states take the biggest tax bite. Of the states that impose an estate tax, New Jersey allows for the lowest exemption limit at just $675,000. Tax rates vary from 4.8% to 16%, depending on the value of your estate and only spouses or civil union partners are exempt. On top of estate taxes, New Jersey also has an inheritance tax, which ranges from 11% to 16% on inheritances worth $500 or more. Parents, grandparents, children, spouses, domestic or civil union partners and charities are completely exempt, while siblings and sons or daughters-in-law are eligible for an exemption up to $25,000. Following closely behind New Jersey is Rhode Island, which has an exemption limit of $921,655 for 2014. The estate tax rates have a slightly higher low end, ranging from 5.6% to 16%, with top rates assessed on estates valued at $10 million or more. Only spouses are exempt from estate taxes but there is no inheritance tax to worry about. The exemption amounts are adjusted annually for inflation, so if you're thinking of moving to the Ocean State when you retire, you'll want to pay close attention to the current limits. Minnesota is one of several states that limits their estate tax exemption to $1 million. The top tax rate you'll pay is 16%, based on your estate's value and only spouses are exempt from paying the tax. There's no inheritance tax but you'll need to strategize carefully if you're trying to minimize the amount of estate taxes you owe. Residents are subject to a three-year look back period, which means any taxable gifts you make prior to your death will be used to determine your estate's value. Oregon also limits estate tax exemptions to $1 million, with surviving spouses and registered domestic partners considered exempt. The tax rates max out at 16% for estates valued at $9.5 million or more, but you'll still have to a minimum 10% at the lower end of the scale. As of 2012, Oregon no longer has a separate inheritance tax. A combination of a low estate tax exemption limit and high inheritance tax rates make Maryland one of the more expensive places to die. As of 2014, the exemption limit was $1 million, with only spouses considered exempt for estate tax. The tax rates vary from 5.6% to 16%, with the highest rates attached to estates worth around $10 million or more. In terms of inheritance tax, spouses, children, parents, grandparents, siblings, sons-in-law and daughters-in-law are exempt. All other heirs are subject to 10% taxes on any inheritance valued at $1,000 or more, and there's a two-year look back period for gifts made prior to your death. In Massachusetts, up to $1 million of your estate is considered exempt from tax. Anything over this amount is subject to estate tax ranging from 5.6% to 16%. Only spouses are exempt, but your heirs won't get hit with any additional inheritance tax. If you're looking for a way to minimize the amount of taxes you owe, Massachusetts allows you to claim an unlimited deduction for charitable donations made from your estate. Washington offers a higher exemption limit, at $2 million as of 2014. Spouses are exempt but your heirs will have to pony up significantly more in estate taxes. Currently, tax rates range from 15% to 19%, with the upper limit affecting estates valued at more than $9 million. There are no inheritance taxes and if you own a business you may be eligible for a $2.5 million deduction if the business is valued at less than $6 million. You can't take it with you, so it pays to make sure you're leaving behind what you want to whomever you want.. With some careful planning, you can minimize the potential tax burden for your heirs and take some of the hassle out of handling your estate. What can happen if you don't file your taxes?